Magnification is changed by moving the wheel at the top. 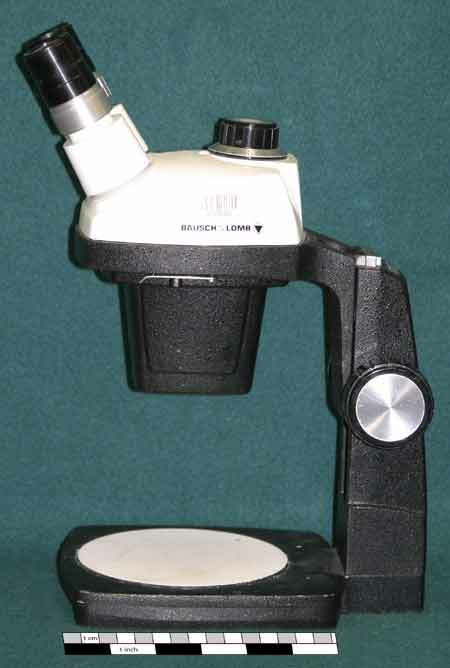 This microscope has magnifications between 1X (one times magnified) and 2.5 (two and a half times magnified) and is excellent for seeing detail on marine specimens that are small but still visible to the naked eye. The eyepieces magnify 10 times and the objective lenses (near the specimen) can be changed. Total magnification is a combination of the eyepiece and the objective lens (multiplied). 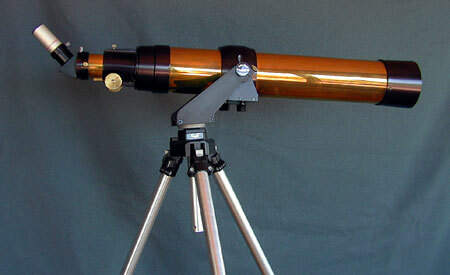 For example, the 10X objective lens and the 10X eyepieces combine for a total of 100X (100 times magnification). Our microscopes in the classroom have objective lenses of 4, 10, 45, and 100. This gives us the opportunity to view things from between 40 and 1,000 on these microscopes. The 1,000 power viewing requires special instruction as a special oil must be applied to the lens. 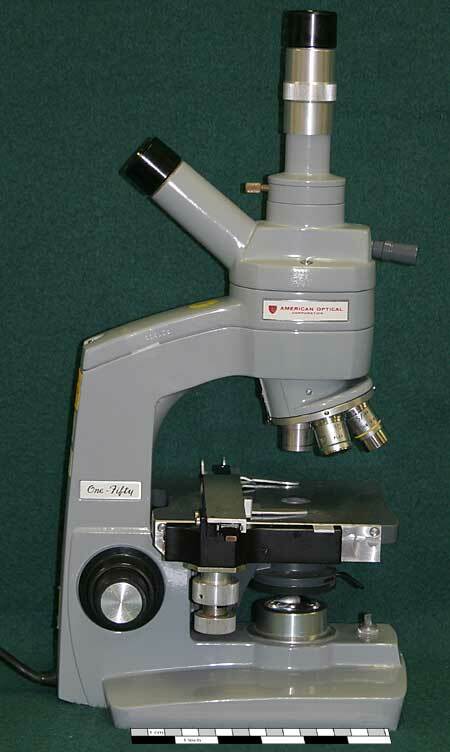 This type of microscope is great for marine specimens that are below our level of vision (like microscopic plankton). The electron microscope brings minute detail out in marine specimens that are very small. This electron microscope is a small tabletop model that is computer controlled. It is located at UCSB. James Weaver (seen in the image), a UCSB graduate student, is a former SBCC student from the Biological Sciences Department. He graduated from UCSB already and is currently doing graduate research for his doctorate degree on the formation of silica spicules in marine sponges and other materials. 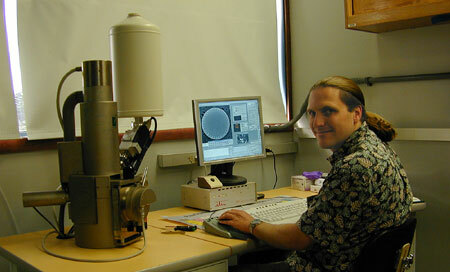 He uses this electron microscope for his research. The image shows a diatom displayed on the computer screen. Telescopes allow marine scientists to view things from afar. Satellites can be used by marine scientists in various ways. 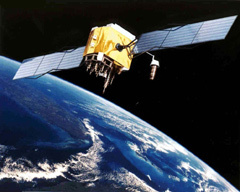 Many satellites send images back to Earth that show the surface of the ocean and its color, temperature, and exaggerated level thus acting as a remote sensor. Satellites are also used by marine scientists to bounce information off of (for example a radio tag on an elephant seal can broadcast data about the seal's activities to the satellite and it is bounced back to the researcher). GPS units allow marine scientists to be very accurate with locating their study areas. The longitude and latitude of geographic locations can be measured so that scientists can return to the exact same location. 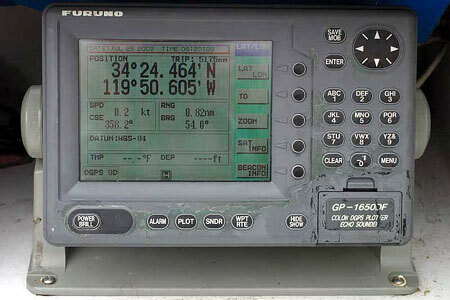 This was very difficult for marine scientists before GPS units because there are few reference points on the ocean. If locations were near the shore scientists could take 'line ups' of visual markers on shore but if locations were far from shore, or if it was foggy, these would not work. Thus, GPS units act like a special type of 'seeing' device for global positioning. 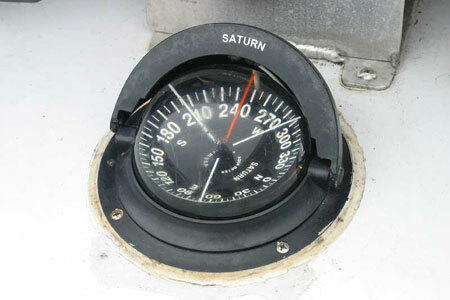 A compass is an integral part of a GPS unit but can also be used by itself for taking any type of directional measurement.